March to Tuesday 29 March,"
respond to calls to his cell phone. 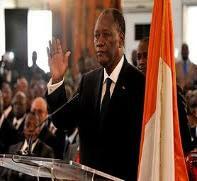 Ouattara said they took Duekoue. saw a "huge number of bodies,"
the route, in fear for their lives." forces acting as they retreated. 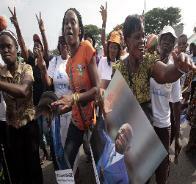 reach Gbagbo or his ministers. 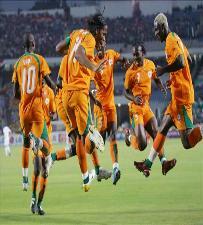 western (Ivory Coast)," it said. 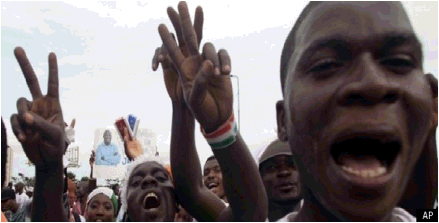 Security Council to adopt more robust actions against Mr.
Laurent Gbagbo and his associates. Council Resolution 1528, which was passed in 2004.
war machine on the side of one of the contending parties. agreed to send troops, would have been changed. processes” or for democracy or what? one party won, the truth reveals otherwise. Commission, why they have no report on the elections. post election press conference of the AU team, addressed by Mr.
“Ladies and Gentlemen, the delegation has noted a lot of violence. invited to observe the elections, their Head of Delegation, Ms.
murder of representatives of candidates. was not free, fair and transparent in these localities”. ECOWAS Observer Team’s own report? the results were even more spectacular. who refused to leave”. (Ref. http://www.europarl.europa. it visited only 5% of the 20,000 polling stations. illegalities, way beyond their mandate. Representative of the UN Secretary General in Cote d’Ivoire. Gen.
my dignity and respect for human life”. leaking what Choi calls“top secret” information to the TV station. to use mercenaries in our name? Agence Presse International. They did not even publish it. immediately called for an urgent meeting of the Security Council. with an operational capacity on the whole of the national territory. ONUCI definitively to ensure the superiority of this force in this field. with the agreement of the Force Commander. completed, but who was then told to continue to lie down. 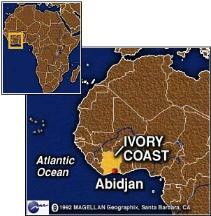 What is happening in Cote d’Ivoire is a deception of the world. install a President with an inconclusive election results. allow this to happen again in our name. Thank you very much. You may now ask questions.